The last days in Coober Pedy were exhausting, but also a great success. After the team spent three days and nights working on a solution and repairing the problem at the rear chassis, the thyssenkrupp blue.cruiser passed the first acid test and drove the first meters full up on it’s own. Following this, we directly head back into the next pre-run, where the car had to face the most adverse conditions. 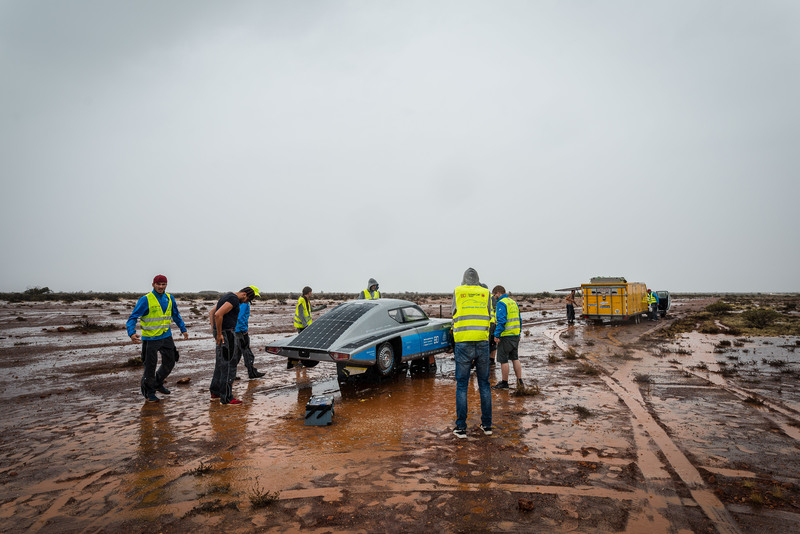 Heavy wind and heavy rain in the middle of the Australian outback are a huge challenge for light-weight vehicles like SolarCars. The blue.cruiser resisted the rain for a whole two hours, until, for security reasons, the race management decided to stop the journey. The whole team is exhausted, but all the happier that the car is finally back on the road. Thanks for all the supporting and constructive messages that we have received from other teams and friends of the project over the past few days - they did well! 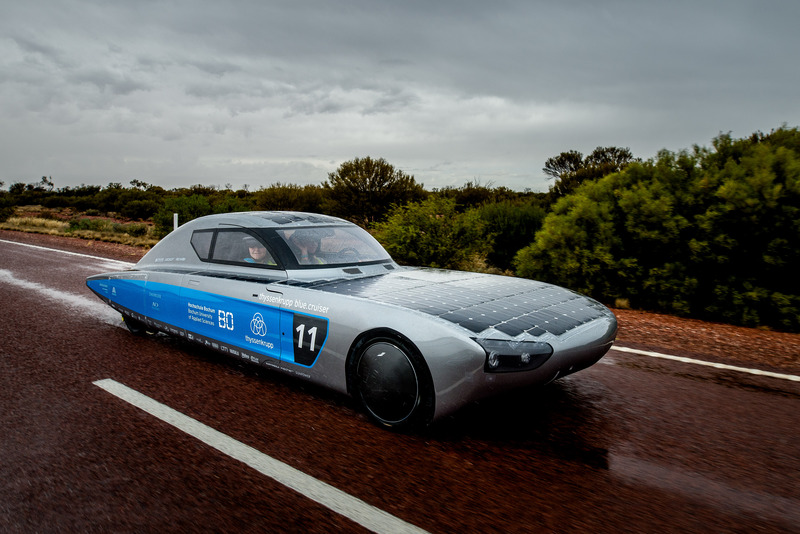 The team and the blue.cruiser are on their way to Darwin, where the Bridgestone World Solar Challenge is already taking place in 9 days. However, before that, the team expects other tasks to be done. The team manager briefing will take place next Tuesday, followed by the technical approval of the cars and the allocation of the grid (static + dynamic scrutineering). Tonight will be spent in the Outback metropolis Alice Springs, before tomorrow morning the team continues to Darwin, which is expected to be reached Sunday afternoon.